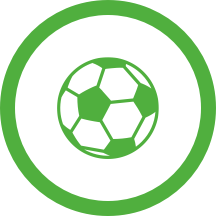 The Mönchengladbach - Freiburg (Football - Bundesliga) match in 15/03/2019 15:30 is now complete. Now that this Football (Bundesliga) match is over and the score is known, you can find the highlights and key statistics on that same page. It's 1 - 1 as the referee blows for full-time. Keven Schlotterbeck (SC Freiburg) wins the ball in the air but heads wide. Ball safe as Monchengladbach is awarded a throw-in in their half. 3 minutes of injury time will be added to the second half. Monchengladbach have a goal kick. The away team have replaced Vincenzo Grifo with Lucas Holer. This is the third substitution made today by Christian Streich. Monchengladbach are pushing forward but Alassane Plea's finish is wide of the goal. Corner awarded to SC Freiburg. SC Freiburg have been awarded a corner by Robert Kampka. Dominique Heintz (SC Freiburg) is given an opening but the shot is blocked by a defender. Jerome Gondorf (SC Freiburg) gets in a strike but the shot is blocked by a defender. Throw-in for SC Freiburg in the half of SC Freiburg. Robert Kampka signals a free kick to Monchengladbach in their own half. Robert Kampka signals a free kick to SC Freiburg in their own half. SC Freiburg awarded a free kick in their own half. Can Monchengladbach capitalize from this throw-in deep inside Monchengladbach's half? Free kick for SC Freiburg in their own half. Monchengladbach to take a throw-in in Monchengladbach territory. Throw-in for Monchengladbach in their own half. Can SC Freiburg get the ball into an attacking position from this throw-in in SC Freiburg's half? Ball goes out of play for a Monchengladbach goal kick. Robert Kampka awards SC Freiburg a goal kick. Raffael is on a sub for Jonas Hofmann for Monchengladbach. Monchengladbach have been awarded a corner by Robert Kampka. Monchengladbach have a dangerous throw-in. Robert Kampka signals a free kick to Monchengladbach just outside SC Freiburg's area. Vincenzo Grifo (SC Freiburg) has received a first yellow card. Monchengladbach awarded a throw-in in their own half. Monchengladbach's Thorgan Hazard breaks free at Borussia-Park. But the strike goes wide of the post. Goal kick for SC Freiburg at Borussia-Park. Throw-in high up the field for Monchengladbach in Monchengladbach. 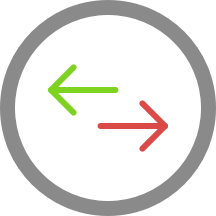 Dieter Hecking (Monchengladbach) is making a second substitution, with Florian Neuhaus replacing Lars Stindl. Christian Gunter (SC Freiburg) is given an opening but the shot is blocked by a defender. Monchengladbach awarded a free kick in their own half. Pascal Stenzel is booked for the away team. Important block from the Monchengladbach defence as Pascal Stenzel fires in a strike for SC Freiburg. In Monchengladbach a free kick has been awarded the away team. Robert Kampka signals a free kick to Monchengladbach. Robert Kampka signals a Monchengladbach throw-in in Monchengladbach's half. Florian Niederlechner is replacing Luca Waldschmidt for SC Freiburg at Borussia-Park. Nils Petersen (SC Freiburg) goes for goal but the shot is blocked by an alert defence. Free kick for Monchengladbach in the half of SC Freiburg. SC Freiburg drive upfield and Luca Waldschmidt gets in a shot. The strike is blocked by a Monchengladbach defender. Monchengladbach's Jonas Hofmann is on target but unsuccessful. Ball goes out of play for a SC Freiburg goal kick. Monchengladbach surge into the attack at Borussia-Park but Nico Elvedi’s header is off-target. Dieter Hecking is making the team's first substitution at Borussia-Park with Patrick Herrmann replacing Denis Zakaria. Can Monchengladbach get the ball into an attacking position from this throw-in in Monchengladbach's half? It's getting dangerous! Free kick for Monchengladbach close to the penalty box. Throw-in for Monchengladbach in the half of Monchengladbach. Thorgan Hazard of Monchengladbach gets in a strike, but is off target. SC Freiburg will need to be alert as they defend a dangerous free kick from Monchengladbach. Throw-in for SC Freiburg at Borussia-Park. 2 minutes will be added to the first half in Monchengladbach. The first half has been concluded at Borussia-Park. Throw-in for Monchengladbach at Borussia-Park. SC Freiburg awarded a throw-in in their own half. SC Freiburg have a goal kick. Free kick for Monchengladbach in their own half. 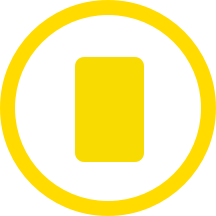 At Borussia-Park, Amir Abrashi has been yellow-carded for the away team. In Monchengladbach SC Freiburg attack through Nils Petersen. The finish is off target, however. SC Freiburg drive forward and Vincenzo Grifo gets in a shot. Without netting, however. Free kick for SC Freiburg in the half of Monchengladbach. In Monchengladbach, Monchengladbach push forward quickly but are pulled up for offside. SC Freiburg to take a throw-in in SC Freiburg territory. Throw-in for Monchengladbach close to the penalty box. Monchengladbach drive upfield and Denis Zakaria gets in a shot. The strike is blocked by a SC Freiburg defender. In Monchengladbach, Jonas Hofmann of Monchengladbach is presented with a shooting opportunity. But the strike is blocked by the covering defence. Monchengladbach's Jonas Hofmann misses with an attempt on goal. Nico Elvedi's header is off-target for Monchengladbach. Ball safe as SC Freiburg is awarded a throw-in in their half. Alassane Plea grabs a goal to bring things level at 1 - 1 at Borussia-Park. That's a fine assist from Thorgan Hazard. Robert Kampka awards Monchengladbach a goal kick. Goal! SC Freiburg have got their heads in front thanks to a Vincenzo Grifo strike. Pascal Stenzel instrumental with a fine assist. Robert Kampka signals a SC Freiburg throw-in in SC Freiburg's half. SC Freiburg's Luca Waldschmidt gets in a shot but it is blocked by a Monchengladbach defender. Monchengladbach's Denis Zakaria gets his shot away but it misses the target. Today's referee, Robert Kampka, has blown to start the match. The team line-ups for today's match at Borussia-Park are now available. It is reported that 46832 spectators are in attendance today.